Every educator deals with a wide range of personalities and behaviors on a daily basis. There are always some overachievers, as well as those students who need just a little bit of a push in the right direction. They require undivided attention, but sometimes are overlooked. If they are meeting the milestones provided by academic boards, the educators’ efforts are considered a success. Some students aren’t given the right support, as an individual, to compete against their peers academically. Truth is it’s not that they can’t comprehend what’s being taught to them, as much as it is how they are being taught. Many of these kids are recklessly thrown into programs and classrooms, and aren’t encouraged to go that extra mile towards success. See below for a few suggestions on how to improve this situation. With so few hours in the day, no clone, and such little pay in some cases, we just can’t work with students one-on-one to develop educational plans for each of them individually. There are only 180 days in the school year, and those students plan to move to the next grade level. For college-bound students, we will never see many of them again. We just need to get them to that point. No matter how hard we try or how great of a teacher we are, there will unfortunately be casualties. 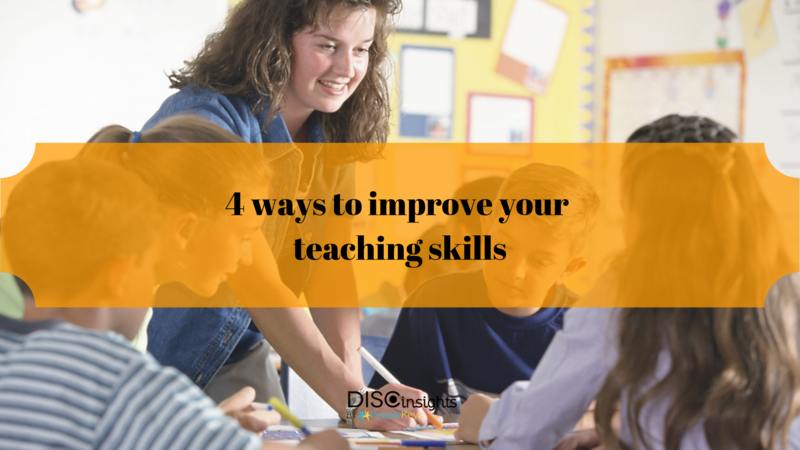 By applying the right tools and teaching techniques to your students, you can quickly learn what makes them tick, how they think and learn, and in which way they are best taught. Knowing your students’ traits, tendencies and adaptability will help you uncover who your students are and who they are not. Adopting DISC-based assessments into our curriculum will help us better gage our students’ performance, improve their productivity, and help us to communicate with them better. By learning our students’ personalities, we can place them in more effective groups and help each student become better collaborators, while engaging them each in a learning style that best suits their personality traits. We will be a stronger influence in their lives, while encouraging them to be more confident in their educational journey. Every student learns differently, and StudentKeys offers educators, coaches and even parents the opportunity to get to know their student inside and out. As you know, with any situation, outside factors can contribute to our success just as much as those internal factors we rarely want to talk about. Some of us are leaders, some of us are supporters and the rest are just followers who can contribute our own unique skillsets for the betterment of the team as a whole. Utilizing DISC in the classroom allows us to place our students in real-world experiences, coaching them in ways which will prove empowering, while building life skills that will last a lifetime. By encouraging students to communicate with each other, while guiding their collaboration, we are inherently providing each of those students with more one-on-one attention and allowing them to lead one another in ways they personally fall short. A D-type student, for example, may have the ambition and willpower to get a decent project done on-time, but if teamed up with a C-type personality that D will have the right details in-hand and will create a more memorable project that will gain them a higher grade. Likewise, the I-type personality has the right people skills to get through to the S-type student, who struggles with confidence and the fear of not fitting in. That same S student will provide that I student with more grounding and stability, where they are fundamentally all over the place and unable to focus. Utilizing StudentKeys, you are able to connect with the core of your students, understand what is not being said and captivate them with positive thinking. StudentKeys assesses the strengths and weaknesses of each student, while providing a cheat sheet on how to avoid conflict. The assessment also offers great advice on future career paths – something you can use to encourage your students to go above and beyond, based on their interests and their interests alone.